Apex Legends seems like it could be well on the way to breaking some major Twitch records. The Titanfall battle royale is barely a week old, but yesterday it broke a massive streaming milestone. Earlier today, livestream data website Gamoloco’s founder, incolas, tweeted that players watched more than seven million hours in a single day. That’s an astounding total by itself – seven million hours is roughly equivalent to 800 years, for what it’s worth. But what’s even more impressive is that that daily total has only previously been achieved by two other games. Fortnite managed it just once, while Counter-Strike: Global Offensive has done so several times – the FPS’s major esports competitions are many of the most-watched events on the entire platform. But that’s not all. Incolas points out that battle royale streamer Ninja, who’s been broadcasting the game since its release, wasn’t even streaming yesterday. His streams have been picking up as many as 156,000 views, suggesting that there’s scope for the new kid on the battle royale block to continue growing. The game’s rise has been stratospheric. 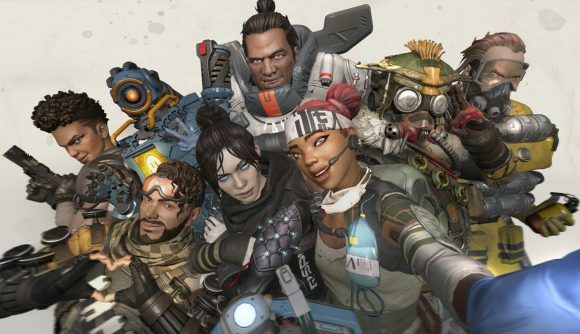 Having only arrived on the scene last week, the Apex Legends player count has already topped 25 million, and it boasts concurrent player counts of more than two million. For the record, it took PUBG about seven months to reach those kinds of numbers, and even Fortnite took a while to reach certified phenomenon status. But its impact is being felt elsewhere, too. Titanfall 2’s player counts are also on the rise, and EA’s stock slip has been recovered thanks to its new release. I’m fairly sure that we’ve reached the point now where we can be certain that Apex Legends isn’t just a flash in the pan, and that Respawn will be a name regularly on all of our lips for the next few months at least.